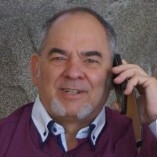 Günther Berthold offers a professional service. Günther Berthold provides custom-tailored solutions. Günther Bertholdis open and clear in terms of communication. Da muss man nicht mehr dazufügen.